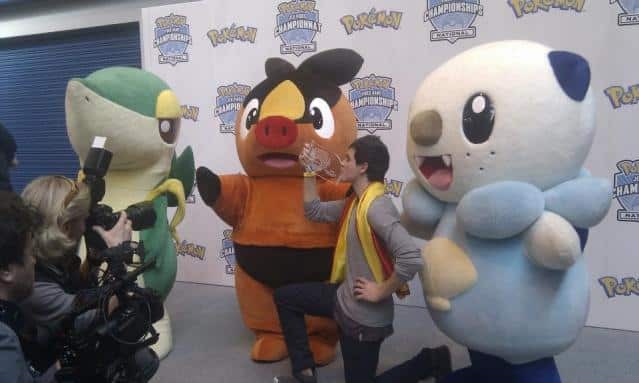 Ruben Puig Lecegui, the Master’s Division champion recently disqualified following unpleasant events that took place over the weekend of the 2012 Pokémon Video Game National Championships, has rushed to the Smogon Community forum to explain the allegations made against him. He pleads that The Pokémon Company International reconsider their decision, enabling him to participate within the 2012 Pokémon Video Game World Championships due to take place in Waikoloa, Hawaii between August 10th – 12th. “Pokémon is like my life”, Ruben explains, continuing to express that the fellow participants that were involved “can’t tolerate these attempts at discrediting the Spanish players (some of the most skilled players in Europe), as our behaviour during the tournament was not unacceptable in any way”. The Spanish team competing in Birmingham’s Pokémon VGC which took place on March 3rd has been subject to harsh criticism by the press and other media, which leads to the following statement. The events described by different media all over the Internet are in no way true. While one of us may have been involved in an isolated case of vandalism at the hotel where we stayed, this has nothing at all to do with Pokémon, the tournament or the facilities where the tournament took place. The only consequence of his acts was an economic sanction which was paid immediately. We can’t tolerate these attempts at discrediting the Spanish players (some of the most skilled players in Europe), as our behaviour during the tournament was not unacceptable in any way. We were in our room and we were speaking and talking a little bit loudly… one of my friends took a “poo” and left it at the corridor, wrapped in paper. I told my friend not to do that but he did it anyway… it was so embarrasing I couldn’t say anything at the moment… I said it was the one who had done it because my friend was ashamed to admit he had done it.. I would really appreciate that The Pokémon Company thought about the decision they have taken once again and refresh their website after taking my defence into account. I guess Pokemon players are quite passionate about their favorite game. That’s what they get for vandalizing their hotel during their little field trip.